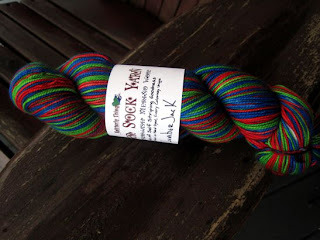 A non-knitting friend asked me after the Christmas KnitFrenzy was over why I was still knitting, and then how long sock-knitting season runs, and - well, what do you say to that? I was shocked into stating the obvious: "It's always sock knitting season." 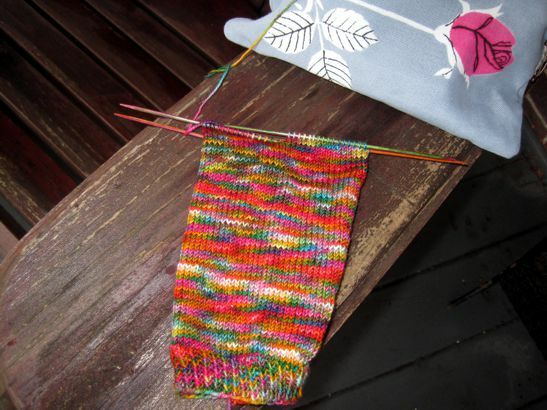 For me knitting has no season at all, but more of a wave - as in, sometimes for years all I want to do is knit, and other times all I want to do is write, or sew, or renovate the house, or some other creative thing. The important thing is making stuff. But I do notice that knitting is seasonal for other people. There is a definite push when the first cool breezes rattle the fast-drying leaves on the trees, and it eases off as the weather begins to warm again. This may in fact be part of my aversion to the green and yellow alpaca socks - what's the point of rushing back, when I'll have to wait eight months to wear them? - along with the more dominant "I am so mad about having to rip out so much sock." Anyway it's snowing outside this morning, which is noteworthy because there has been so little snow this year. So I bet even seasonal knitters will be thinking, refreshed, about hats or scarves again. Me? I will be parked on my armchair listening to still more Queen Lucia and working hard on my purple lace socks. The variegated yarn I was going to use to test the Zombie sock pattern turned out to have very little pooling thanks to the totally crazy number of colours, so I decided to go plain for faster knitting. I'm glad, because I need something to balance out the intricate lace socks. 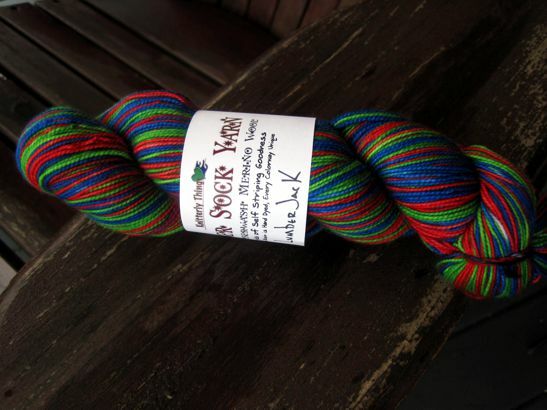 This is the self-striping yarn I couldn't not buy a couple of weeks ago. It's called 'Lumberjack'. I think it's kind of Christmassy, don't you? In a way that will look seasonal at the time, but stretch out reasonably through the winter. Another extension, like this snow day is giving to knitting. Sock Knitting Season implies that there is a time when one does not knit socks. It is to laugh.